On Monday, I spoke in the Queen’s Speech debate on Health and Social care to question the Government’s Care Bill. What is clear following the debate is that the Health Secretary, Jeremy Hunt, doesn’t recognise the detrimental effects his government’s cuts are having upon our National Health Service and the quality of care people are receiving. The Bill fails to address the growing funding gap in our social care provision and the additional pressure this is putting on local services. The Government’s proposals will do nothing to close the funding gap or to help the thousands of people who are already suffering with spiralling living costs and increases to home care costs. 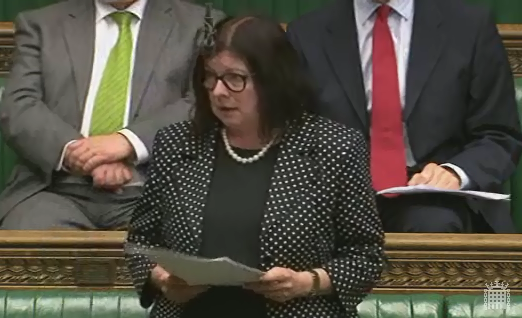 I also raised my concerns about the lack of support in the Bill for indentifying and supporting young carers. This is just one of the many areas that need to be addressed as the Bill makes its way through the House, and I hope the Government will work with Labour on these issues. “My hon. Friend Paul Blomfield made a powerful case against the influence of the tobacco companies and their lobbying of this Government, and the utter ineffectiveness of the Prime Minister in standing up to them. I am also pleased to follow Mr Ward, who made an impassioned plea on behalf of his constituents and others. He demonstrated the need for proper local authority funding to support care services, and I will address that later in my speech. those exports to grow, not to be damaged by the rhetoric on Europe that we hear day after day from the Government and Conservative Members. I was also concerned when I listened to the Secretary of State for Health and heard how complacent he is about the state of the NHS. He showed no recognition at all of the anxiety of many of my constituents about what sort of health service we are going to end up with in a couple of months’ time and whether it will be able to meet their most basic needs. He showed no awareness at all of the challenges facing A and E departments right across the country, including my own in Durham. I am not criticising the staff, who struggle against the odds to provide the best care. This is happening because the Government are not looking at how to use the resources effectively and how to channel them towards under pressure A and E departments. “Every older person using local authority care services is now being charged £150 per year more in real terms in 2010-11 than in 2009-10, and £360 more than 2008-09”. The situation is expected to get worse still. Due to the massive cuts faced by local government, by 2013-14 local authorities will have reduced their expenditure on adult social care by £2.7 billion—a massive 18% reduction when demand is increasing all the time. Clearly, this is not sustainable. The Bill will do nothing to close the growing funding gap or to help the thousands of people who are already suffering with spiralling living costs and increases to home care costs. These people find themselves passed between care providers, often without any continuity of service. We will all have heard about such experiences in our constituency surgeries. Many people are ending up in hospital unnecessarily because they are not getting the care they need at home. Similarly, the Government’s earlier decision to ignore Dilnot and the experts who recommended a maximum cap of £35,000 and set it at £72,000 plus accommodation costs will not help many of my constituents, particularly those on lower or middle incomes. gaps, particularly in identification of and support for young carers. That will need to be addressed as the Bill makes its way through the House. More needs to be done to support the various organisations that help carers. I work with a number of voluntary sector bodies in my local communities, and they are very worried that they will go out of business because they are not able to get enough resources to keep going. Yesterday I addressed the conference of the National Infrastructure Planning Association. It was an excellent conference, including many of the industry’s leading experts. You can read my speech on the importance of infrastructure below. The current infrastructure pipeline is currently valued at £310 billion. (As you no doubt heard from the Minister earlier) These projects could provide an enormous boost the flat lining economy – but in reality the vast majority of these sites are stalled. No one in this room can be in any doubt about the importance of bringing forward these projects quickly, smoothly and effectively. Indeed there are very few people in Westminster who need convincing either. The important role that infrastructure will play in our economic recovery and must continue to play for a sustainable and competitive economy is almost universally recognised in Parliament and Whitehall. 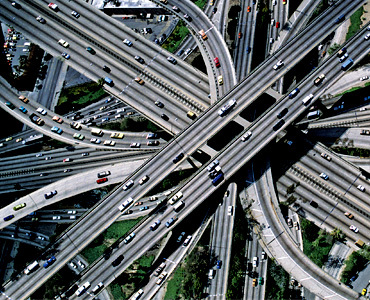 There is a strong political case for improved infrastructure delivery too. Not only would it create jobs, but without government finance it is consumers that will bear the brunt with higher fares, slower commutes and rocketing bills. As a result the Government is under increasing pressure to do something about the huge number of major infrastructure projects currently languishing on the backburner. This has been reflected in the raft of legislative measures brought forward which tinker with the major infrastructure planning regime as most recently seen in the Growth and Infrastructure Act. The need for a boost to infrastructure has also been acknowledged by the Treasury which promised £3billion a year more capital spending in this year’s budget. However, these claims are worthless unless they are backed up with a long-term strategic plan of what we are going to deliver, when, where and how. George Osborne’s plan to attract £20 billion of infrastructure investment from sovereign wealth funds has attracted just £1 billion. Only 14% of the Government 576 national infrastructure projects are underway and fewer than one in four – including road rail and energy schemes – are expected to be completed during this parliament. This record forced the cross-party House of Commons Public Accounts Committee to last week brand the Government’s approach to infrastructure “simply a long list of projects requiring huge amounts of money, not a real plan with a strategic vision and clear priorities”. This not only slows down the delivery vital infrastructure projects and the potential boost which they could give to our ailing economy but also holds up the construction of much needed homes and the creation of jobs. For example, the improvement works to the A14 were described by the former transport secretary as essential for to ensure “a crucial strategic route” and “a lifeline to international markets” but were scrapped in the corporate spending review only to be re-introduced a few years later. This lead to a substantial delay in not only the road and the benefits it would bring to the region but the thousands of new homes to be constructed at Northstowe. Work on the improved road is now not due to start until 2018. This atrocious decision is just one example of many of how the haste with which the coalition tried to do away with so much done by the last government has often led to unnecessary delay that the economy can ill afford. We need a system which gives investors confidence, allows for major infrastructure to be delivered far more easily and which ensures that these nationally or regionally significant projects fit in with other developments and strategies. The Armitt Review is one stream of work we are doing to look at how we can ensure that future infrastructure planning is not plagued by the problems seen under the current Government. – and how political consensus can be forged around these decisions. Whilst much of the review is concentrating on Treasury related matters it is also considering ways in which planning can support the delivery process but there is still a lot more which needs to be taken into account. We are also looking at how national policy statements are drawn up and revised; time limits for determination; and how we can improve the consultation stage with streamlined processes, better information availability and genuine, structured consultation of key parties. But we also need to look at how infrastructure will fit in with the others areas of planning particularly at the above the local level. Neighbourhood Plans and Local Plans are to be welcomed, and with some improvement could start to form the basis of a truly localist approach to development. However, very little has been said about what will happen at the ‘above local level’. It has become very clear that there is currently a vacuum of responsibility for driving forward and attracting projects which will benefit not only the immediate areas but the wider ‘travel to work area’ or even the country as a whole. This is particularly important in addressing two of the key weaknesses in the Government’s approach identified by the public accounts committee; how to plan for infrastructure investment over the longer economic term and how to take account of investment trade-offs particularly when investment in focused in one region at the expense of others. (Particular bone of contention now with only 0.3% of capital spending going to north east). There is also a need to look at the myriad of planning obligations, funding schemes and bonuses which overlap, work inefficiently and fail to work to the benefits of developers, local authorities and most importantly local people. We want to look at these various funds, particularly CIL and S106, to see how we can ensure that charges on developers deliver the infrastructure and community benefits. At the same time the numerous, piecemeal funding schemes need to be looked at holistically to ensure that public money is being used in the most efficient way to support infrastructure and housing delivery. Many of us now suspect that there are a huge number of projects with which just a small amount of capital investment could reap huge returns, but these projects are losing out on essential support due to subsidies for developments that would have gone ahead regardless. This is yet another example of the complete lack of strategy which is costing British industry, developers and ultimately tax payers dearly. Finally, it seems clear that all of the current efforts to speed up the planning process have been focused on what happens after an application has been submitted. In actual fact, a lot of time is taken up in the pre-application process. It is at this stage that we think significant improvement to both town and country planning and major infrastructure planning could be made. During the passage of the Growth and Infrastructure Bill we tried to get the Government to make improvements to the way that the consultation process works but the Government refused these. In particular we want to look at whether it would be worthwhile putting in place a time limit on the consultation period, during which the relevant planning authority and developer will have to undergo structured consultation, adequately facilitated and supported by the authority. There would be scope for this time limit to be flexible – most likely along similar lines of planning performance agreements currently. We feel that improving this stage could not only speed up the system, but allow for better stakeholder and community engagement and give investors certainty over timescales, what is expected of them and what they can expect in return at this stage. We would be keen to hear your thoughts on whether this, like our other proposals, is something that would be welcome and how it would be best implemented. All in all, Labour is committed to an infrastructure system which actually delivers. We believe that increased certainty and a clearly defined strategy will be key to ensuring that infrastructure projects are brought forward as quickly and effectively as possible giving infrastructure and the economy the boost it needs. This week I have been door-knocking across the constituency with Labour’s excellent candidates for today’s county and parish council elections. It has been great to see so many party members and volunteers giving up their time to support their candidates. Not surprisingly, many people I’ve spoken to are deeply concerned about the impact of the Government’s policies on them and their families, especially the bedroom tax. Last month I was joined by hundreds of people in our area to protest against this misguided policy. These protests took place across the country and called on the Government to scrap this tax. Another issue that a lot of people are worried about is the Government’s decision to privatise the NHS and the effects this may have on the quality of care people receive. Since the General Election over 4,500 nursing posts have been cut and Labour analysis suggests 6,000 could be lost by 2015. Locally, Labour will act as the last line of defence to protect the NHS from Government cuts. Labour Councillors will be champions for patients and defenders of NHS values, and we are pledging to fight the worst effects of David Cameron’s damaging Health and Social Care Act. We need to send a strong message to the Lib Dem/Tory Government that their policies are failing the North East and are hitting the most vulnerable in our communities the hardest. That is why it is so important that people get out and vote in today’s elections. I’ve seen firsthand how hard our Labour candidates have been working in the run-up to these elections and I know what an outstanding job they will do if elected. I would like to wish everybody the best of luck today and hope that as many of you as possible will vote in these elections.